People want to refinance their auto loan for various reasons. As with any financial decisions, some times are better than others to refinance your auto loan. In general, you can see more benefits in terms of money saved the earlier you refinance. There are two simple reasons for this. First, auto loans tend to be structured so that more of the interest of the loan is paid earlier on and so that it decreases over time. Second, the more time you have to reap the savings from refinancing your auto loan, the more the savings will add up. When you take both of these things into consideration, the best time to refinance is earlier in the term of your loan when you can take advantage of lower interest rates. However, that doesn't mean there aren't other times to consider refinancing your auto loan. In fact, there are other times or reasons you might want to consider. Have you earned a higher credit score? Have you experienced an unforeseen financial setback and could use a lower payment? Are you at the end of a lease and want to purchase the vehicle? If you answered yes to any of these questions, you may want to consider refinancing your auto loan. Take some time and look into the interest rates. Crunch the numbers and calculate the payments. 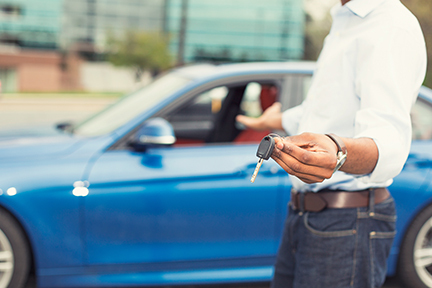 Weigh the short-term and long-term effects of refinancing your auto loan. It may be worth exploring your options and seeing if it's right for you. At Visions, it's not just the money that's there when you need it - we are. 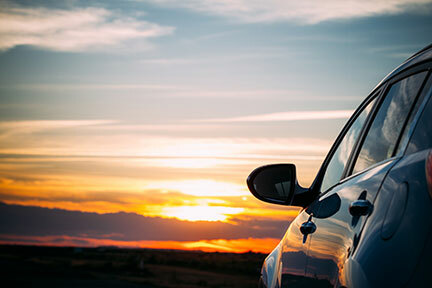 If you have questions, want to learn more about refinancing your auto loan, or just want help knowing if auto refinancing is right for you, we're happy to help. Contact our experienced professionals today.